The infrastructure of the water district consists of two pumping stations, two reservoirs and approximately 10 kilometers of water lines. 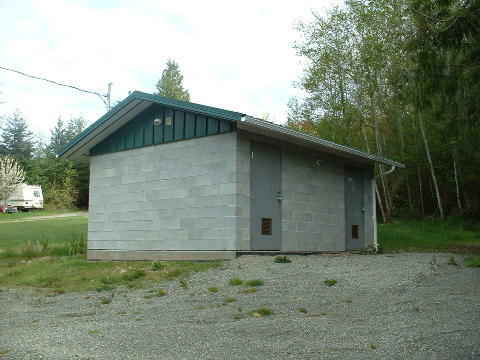 This station draws all the water used by the district from Kemp Lake. 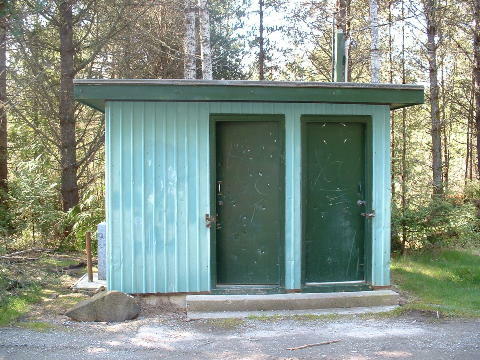 It contains two water pumps and the chlorination system. 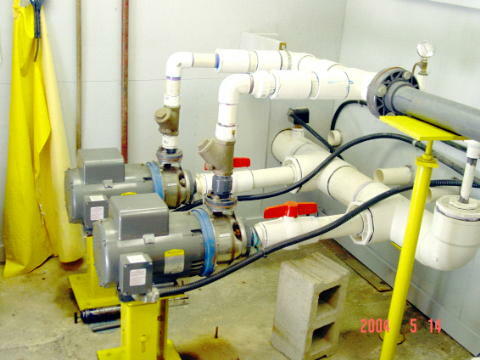 When both pumps are running, they produce a flow of approximately 115 Imperial Gallons per Minute (IGPM) or 522 liters per minute(LPM). 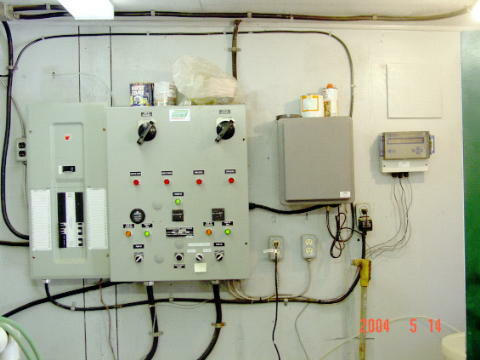 The pumps are controlled by telemetry from the main reservoir which has level sensors that send signals to the pump station to turn on one or both pumps and to turn off when required. This station boosts the water pressure by approximately 25 psi in order to supply the higher ground in the west end of the district. Currently these pumps are running 24 hours a day, 7 days a week. 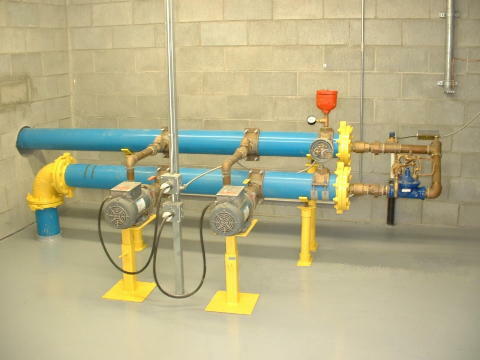 There is a pressure relief bypass valve that recycles any water not required by the current demand. The main reservoir is a ground level concrete tank with a capacity of 80,000 imperial gallons or 363,200 liters. Level sensors in this tank use telemetry to send radio signals to the main pump station to turn on and off the pump(s). 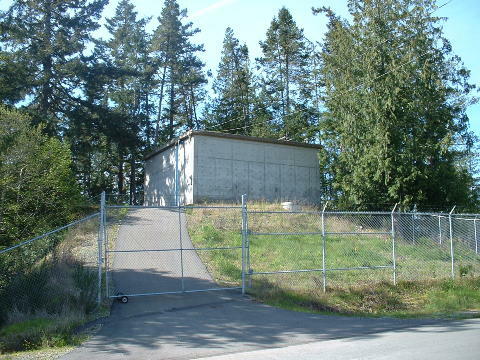 The Taylor Place reservoir is a ground level steel tank that was built in the summer of 2005. 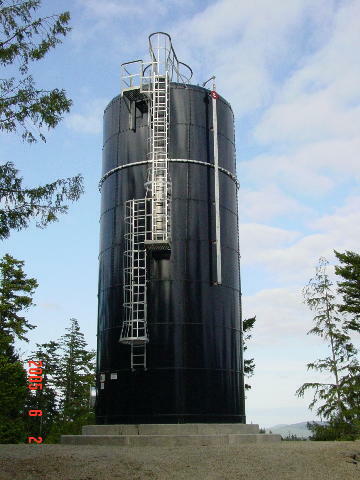 The reservoir is a round coated steel tank 17 feet in diameter and 40 feet high, holding approximately 50,000 imperial gallons or 227,000 liters. Level sensors in this tank use telemetry to send radio signals to the West Coast Road booster pump station to turn on and off the pump(s). This reservoir augments the storage capacity of our main reservoir as well as improve fire flows to the western end of the district. There is approximately 10 kilometers of water pipe used by the district which range from 3/4 inch meter services lines up to 8 inch main lines. 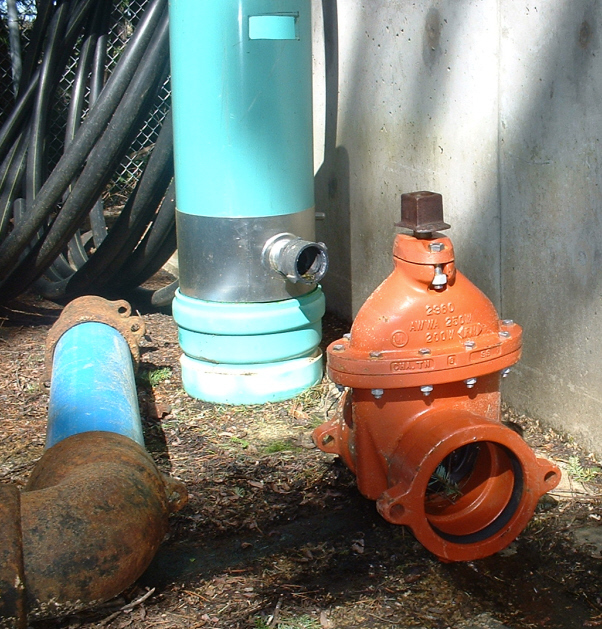 Most pipe is plastic with brass fittings on the smaller sizes and cast iron on the larger mains. 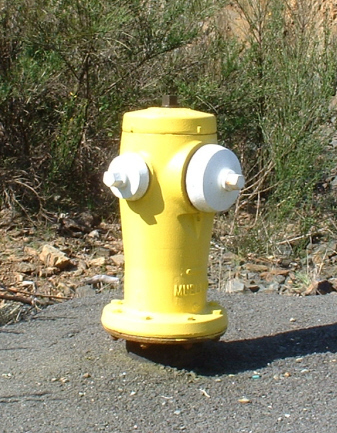 There are currently 24 hydrants within the district. Most, but not all of the district is covered by fire hydrants. People with homes within 1000 feet of a hydrant should be getting a reduction on their house insurance. There are currently 7 standpipes in the district. 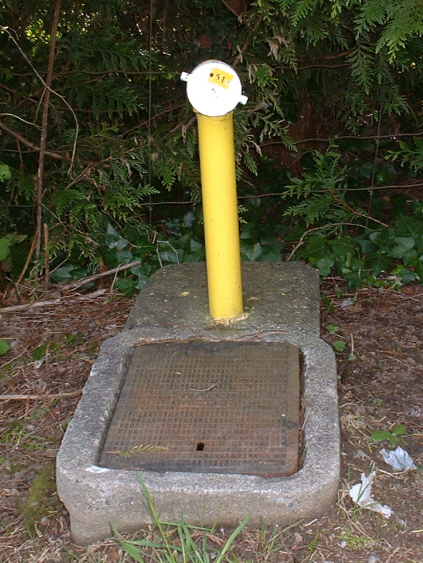 Standpipes are primarily used for flushing of water lines. They are NOT recognized by Fire Underwriters for fire protection insurance. The fire department is however, able to use them for whatever water they provide.